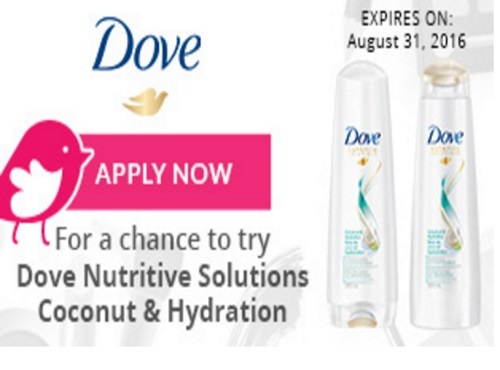 Chickadvisor has a new Product Review Club campaign for Dove Nutritive Solutions Coconut & Hydration Shampoo and Conditioner! Sign up for a chance to be one of up to 400 Canadian chicks who will get to try this product for Free to review. You have until August 31, 2016 to apply! Selected members will be contacted by email during the week of September 5, 2016. Be sure to add "PRC@ChickAdvisor.com" to your email address book to ensure that you receive all future communication. For extra consideration make sure you spread the word on social media and remember to include #DoveCoconutHydration when you post on Twitter, Instagram, Facebook or Pinterest!